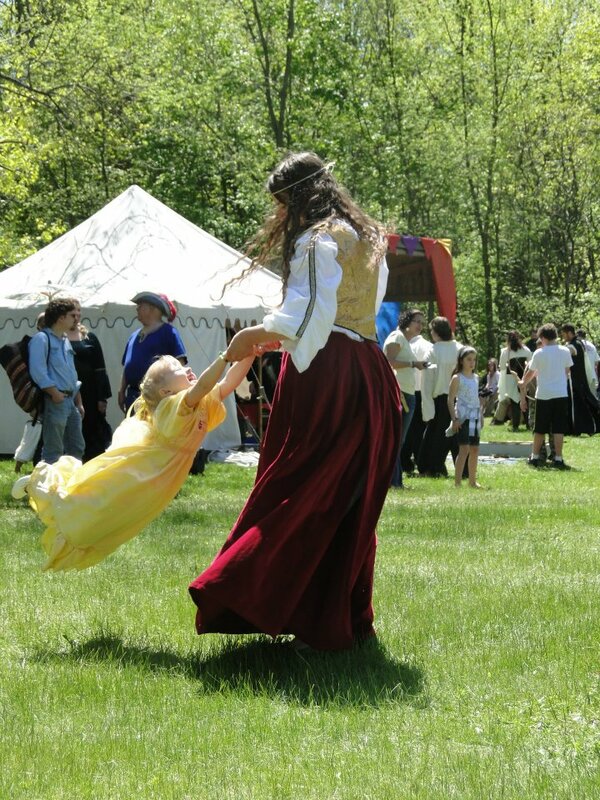 We went to the New Hampshire Renaissance Faire in May. Bella wanted to wear a yellow dress. 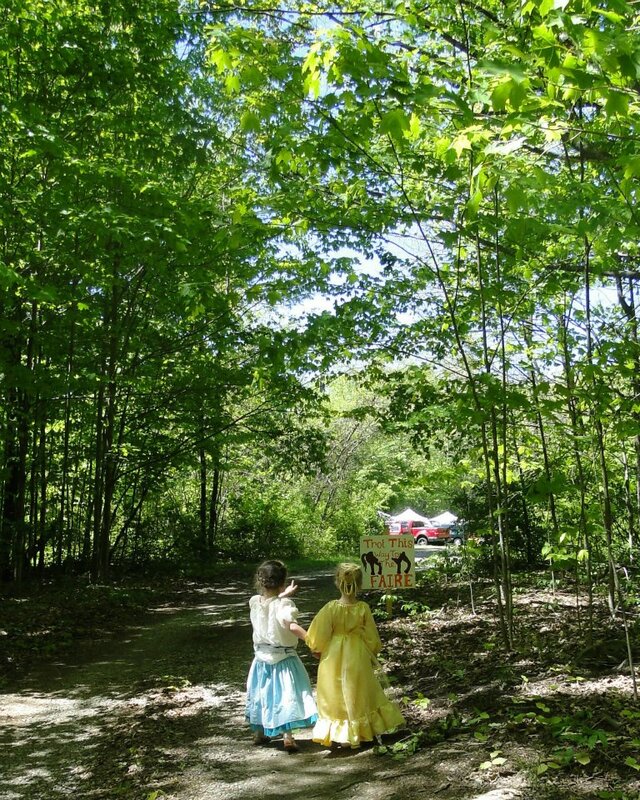 Toward they end I realized that she looked like Princess Belle! I bought this pattern last year for a $1 at Joann Fabric on one of their sale weekends! 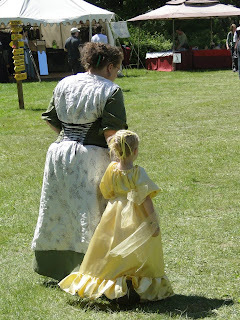 We used the gypsy pattern for the main dress but made it a size big so it was long enough and it would last longer. I was going to make the sash/belt from the the pink dress but I ran out of time. 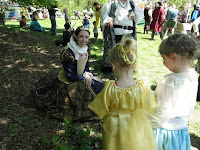 I had made a simple toule underskirt to wear underneath that was too long. When I shortened it I took the extra fabric and tied it around her waist to make a sash/belt! 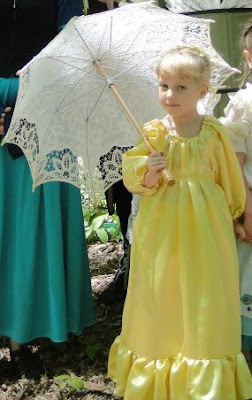 I also let her take my lace parasol that a friend had given me! 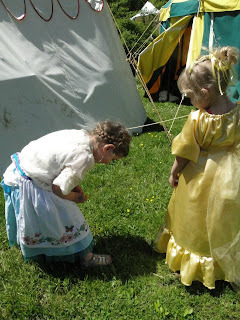 The biggest thing I learned while making her dress was that the fabric unravels like crazy!!!!! All day it kept unraveling and picking up twigs and leaves! I need to either serge the seems (not that I have a Serger), fold them under and sew them inside of themselves, or get some fray stopping stuff. Here are pictures from throughout the day! I am the one in green and white... not my favorite outfit but I did make it! 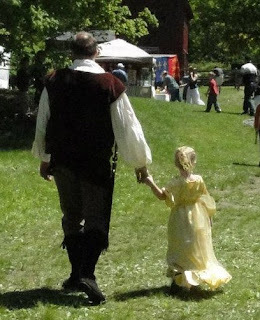 A while ago (just over 2 years) I posted that I was going to be making a Regency style dress. Since then I have made three of them!!!! Each had problems and one was a serious disaster! To start I needed to make an under-bodice. It us like a full slip with a bodice attached to the top. I will not post pictures of me in it as it is very see through! The next dress was a complete disaster but beautiful! It was made of a sheer fabric with a silky fabric underneath (such a pain!!!) I had made it so that I could nurse my baby in it (he was just over a month old at the time I was wearing it!) I did not have time put the clasps in the top part so I had my friends pin me into it. I also had missed judged the side seam and had to wrap my friends scarf around my waist to hide it! There is no picture of this one because it was that bad! 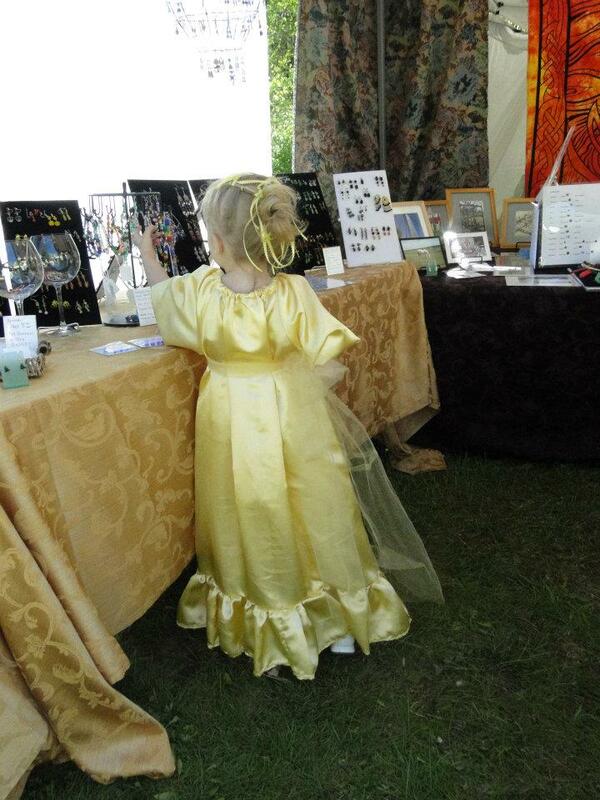 I have altered these dresses since and will be posting them soon! I want to start posting more but with two little ones underfoot I am not always able to complete projects quickly. So I decided to start posting "Tool Tuesday" when I don't have a project to share. I good pair of scissors is important as it can make a difference between a straight smooth line and a jagged one that does not line up when you need to sew. 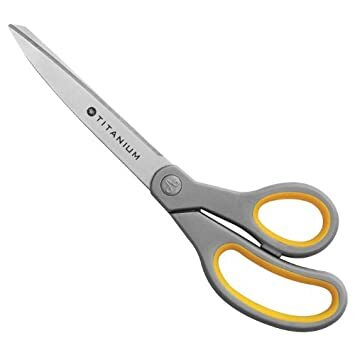 These are my scissors. The work well and the did not cost very much. There is a big rule in the house that no one is to use them unless they are cutting fabric! I have lost more then one pair of scissors to them being used on other things! 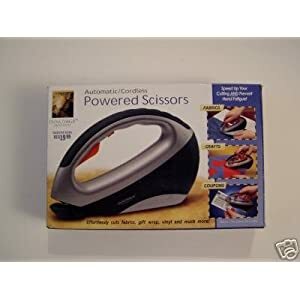 I found some funny things when looking at different types of scissors The first one is something called Powered Scissors. Not sure I would trust it to cut strait! 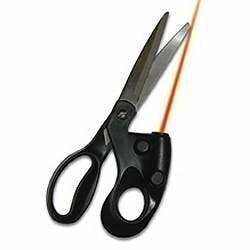 These have a laser on them and claim to help you cut strait. Again I am not sure how they work as there where no reviews but that seems like a lot of technology for a pair of shears! 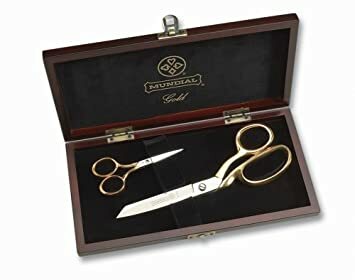 These are my dream shears. They are beautiful, in a box, and gold! I love that there is a separate pair for cutting thread. I hate grabbing my big scissors to cut threads as I am sewing and I hate the thread cutter on my sewing machine. I decided to make my daughter a dress for Easter. Then last minute I decided to also make a tie, vest, and pants for my son as well as a simple shrug for my daughter. I found some tutorials online. Some I used completely while other I used as a guideline. Easter Baskets: I love for the kids to get a new outfit with their Easter baskets every year. Bella outside and at church with her Bible. Bear in his outfit that ended up being very shiny! The kids in their outfits together! Here are the links to the posts and tutorials that help me make their outfits! Boy's Pants - I can finally put pants on Bear and they did not fall down!!!! Boy's Tie - I love this one! I made mine with elastic. It is so awesome!!!!! 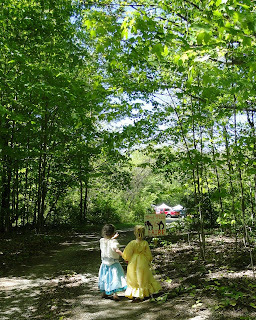 Girl's Party Dress - Daddy picked out the fabric for the main part of the dress and Bella loved it! Long overdue update on corset! I promised an update on my corset and never got to it! 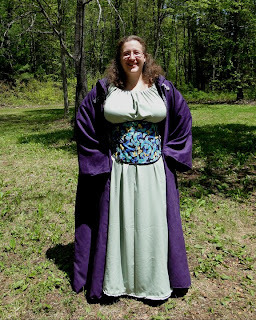 I made an underdress and cloak to go with it! Purple and green are my favorite colors and I love butterflies so I used those things to make the outfit! Here is a picture of me at the Ren Faire in full garb!!!! I was very comfortable wearing it while standing. Then we sat down to eat... that did not go so well. I do love it though! 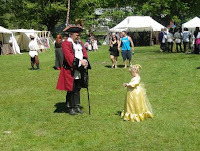 I did get to wear to other side of my corset (it is reversable) as part of my pirate outfit but did not get a good picture of me in that. The cloak was a lot of fun to make. I special ordered the trim and clasps. They go perfectly with the fabric! 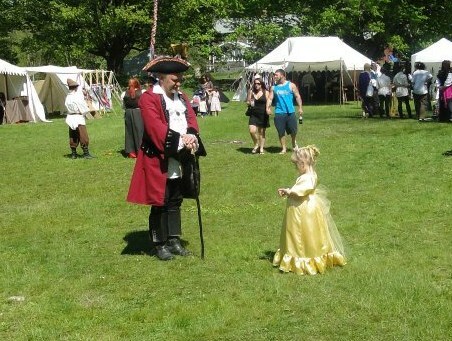 It was also a great weight because it can be rather warm at the faires. I would like to make a heavy one too for when it is cooler outside.